October 29, 2014  The links between tanning beds and skin cancer are well known, but a survey of the top colleges and universities in the U.S. shows that many allow tanning beds on campus. March 11, 2013  Women who took aspirin at least a couple of times a week for five years or more cut their risk of melanoma by 30 percent. The new study adds to the mounting pile of research suggesting that cheap, common aspirin lowers the risk of many cancers, including colon, breast, esophagus, stomach, prostate, bladder and ovarian cancer. 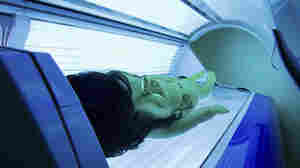 October 3, 2012  Ultraviolet light can burn your skin and raise the risk for skin cancer. New research has helped uncover how the rays can weaken skin's outer layer, compromising its ability to protect the body. June 21, 2012  Our evolutionary history is inscribed on our very skin. The explanation for why diverse skin colors evolved over time makes not only for good anthropology, but also for applied knowledge that may help us keep intact our Vitamin D health. June 18, 2012  Consumers who were expecting the Food and Drug Administration's new requirements for sunscreen labels to be implemented this month will have to wait. 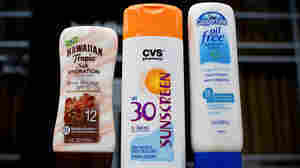 The agency has given sunscreen manufacturers until December to catch up to the mandate for clearer information on labels. May 16, 2012  Almost a year ago, the Food and Drug Administration proposed a slew of new rules to make the labels of sunscreens more helpful and realistic. To avert summer shortages, the agency has delayed implementation until December for most companies. Hair stylists already spend a lot of time staring at the back of people's heads. Researchers thought: Why not train them to check for suspicious lesions and other signs of skin cancer while they're at it? 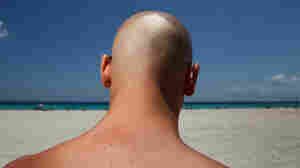 October 18, 2011  Over a lifetime, our heads and necks receive a ton of exposure to the sun's UV rays. But most medical checkups don't include exhaustive exams of our hair and head. So public health researchers want to recruit hair stylists to help. It turns out, some of them are already performing informal skin cancer exams on clients. 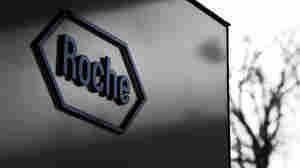 August 18, 2011  The drug was approved faster than many other drugs under review, and advocates of personalized medicine say this bodes well for other gene-based drugs in development. May 13, 2011  The conservative broadcaster thought it was funny to pretend he was vomiting as he watched her public service ad about skin cancer. Thanks for calling attention to the issue, McCain tells Beck, but fat jokes and vomit gags are just stupid.